In fact, I hope not to bore you at all. Speaking of my experience, part of it was helping with Dungeons & Dragons fifth edition. It reminds me of the mindset I was in last time I started here at Critical Hits. Fourth edition was in full swing, much like fifth edition is now, but it had a much different start and production cycle. It lacked a well-realized entry-level product, even though a starter set had come out in 2008. My first post from back then tells the story as I saw it, if you want to travel back in time to read it. I faulted fourth edition (among other games) for attempting to give players as much as possible right out of the gate, rather than moving in steps, starting with the simple and expanding to the complex. Fifth edition did the same, essentially, even though in a perfect world, it shouldn’t have had to. (See, data still indicate most players consume content slowly, and most D&D campaigns start and end at lower levels.) The reasoning behind the presentation choice is complicated, as it always is in business, but the short story is that the RPG team had to release the newest version of the game into the wild as complete as possible. Perceived risk had to be mitigated, since some in higher management saw the game as a big one. Those people, in fact most of us, didn’t and perhaps couldn’t predict the amazing success the game would ultimately have. It says age 12+, but I started playing when I was 8. Breaking the law! I believe fifth edition’s success owes much to a studied return to the roots of the D&D game, along with the calculated inclusion of fan favorites from all editions. Fifth edition designers are indebted to audience feedback included in the design process, as well as the positive responses fans created and still create in the marketplace. 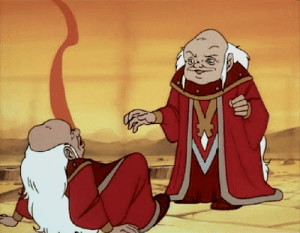 I can tell you, as a developer on the game, we took the criticism very, very seriously, and considered it, along with every previous D&D edition, to arrive at the design you see today. Some of you might be able to point at the wording in a spell or the function of a rule and smile, knowing you influenced the direction of the game. Great to see you back, Chris! Thank you for all the work you have done on so many aspects (and editions) of my favorite game. I would be interested in hearing about a variety of subjects. I’m curious how you feel about D&D’s focus on the Realms – that deep focus on one campaign setting and even the Sword Coast – versus the possible moving from setting to setting or supporting several settings at a more shallow level. 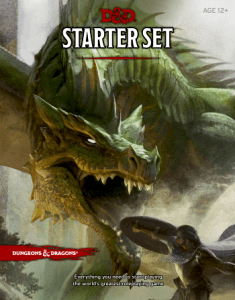 I know you have worked so much on 4E and 5E monster design, so I’m curious how happy you are with where 5E came out on monsters as compared to other editions, and what you might have changed if it was only up to you. On my end, I always want awesome hooks and I love D&D history. I would love for someone to take pre-5E adventures and tell me a bit about them and then sell me on a cool new hook that I could use to run them. For example, Pharaoh is my favorite adventure, but I’ve never met a person that liked the initial hook it has to dump you in the desert. Many of the older adventures lack hooks at all, or even a real central plot that will trigger a rich narrative. But, mostly I just dig your take on the game and I’m glad to see you here! Write what you want to write! Hello! While I’m a bit disappointed that this post isn’t the discussion of Resurrection-spell-related issues that I expected from the title, it’ll be interesting to see what you produce. I don’t have any specific questions (because I’m a pretty new follower of this blog and I don’t play 5th Edition, so I have no idea what would be appropriate to ask you). So let me suggest: instead of opening with a call for questions, perhaps it would be good to give readers hooks to hang questions on. Surely there are topics on which you have information not yet publicly available that you are willing and allowed to share. Perhaps you could outline some of the more interesting decisions you were involved in, in the creation of D&D 5E, and discuss the process and results. 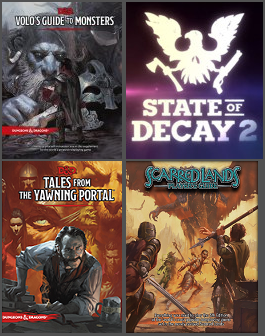 Or just choose some topics about RPGs in general that are interesting to you, so that you present some opinions and lines of reasoning for your would-be audience to respond to. You might even consider doing some research, in the sense that you could go out, read other people’s blogs, and respond to the issues you see the community discussing, instead of just hanging up your shingle and waiting for the community to deliver its issues to you. Hopefully I’ve suggested some fruitful and enjoyable avenues of approach! Take care! First of all nice to see you blogging again. I would love to see a few insights on what actually did end of not being used for 5e, If you are allowed to talk about it. Thanks for the replies. I’ll make a list, including putting out some ideas of my own. Great to have you back! And great post. As an avid fan of 4E and 5E, I’d love to hear more about the design process of both editions, particularly things you learned about 4E that were either kept or jettisoned for 5E and why. My group just finished up a 1-20 level 5E campaign that took nearly 3 years. It interrupted our 2 year old 4E campaign which we are about to return to. So as I begin to unlearn 5E and relearn 4E I’m struck by how much is actually similar and by the small things that changed. It would be great to get some insight about changes you were involved with. Thanks and look forward to reading more from you!